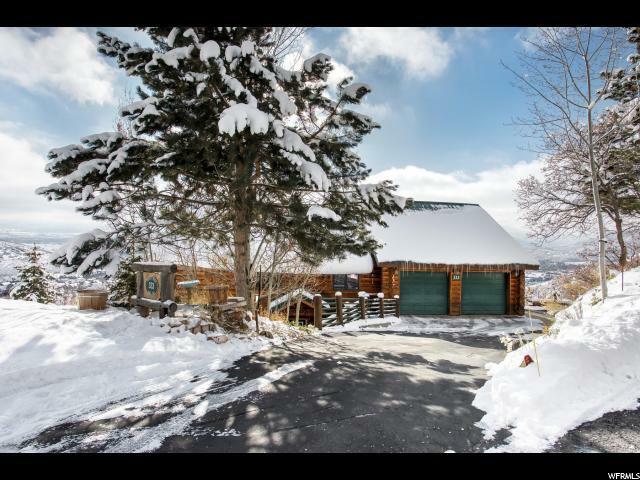 Stunning views make this year-round log cabin memorable. They result from a 24-foot high solid foundation, containing 100 cubic yards of concrete and rebar. 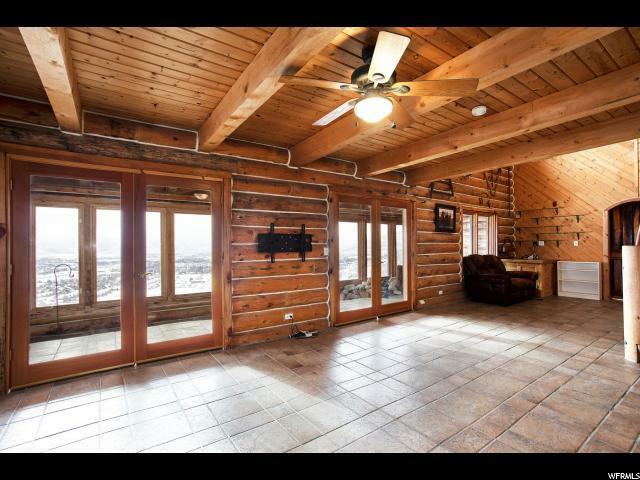 Full 10-inch in diameter log walls provide a warm, intimate feel. Imagine living with an open floorplan, an updated kitchen, vaulted ceiling, a mainfloor bedroom, and an office that could be a 5th Bedroom. 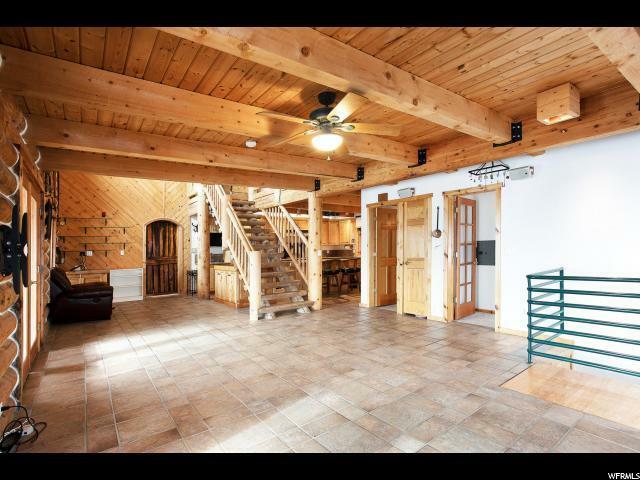 You have unobstructed views of Deer Creek Reservoir, Wasatch Mountains, and the valley. The wrap-around decks and a South-facing Sunroom help to capture the views. There is a two-car over-sized garage. The workshop off of the garage even has views. 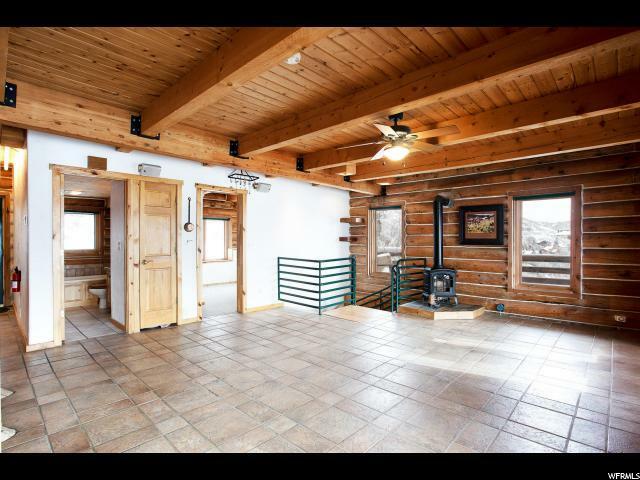 This Interlaken cabin is just a few minutes from Midway Village, Midway Community Park, (featuring a dog park, tennis courts, baseball field, volleyball court, and open space),and the Wasatch State park. Lots of outdoor activities: biking and hiking trails, fishing, golfing, snowmobiling, horseback riding, etc. Within a short drive you can be at Deer Valley Resort, Park City Mountain Resort, Soldier Hollow, and Sundance.